Finished Aug 2017. Final score: 4 / 5. I bought this because the summary sounded interesting and Wil Wheaton narrated it. None. I walked in blind. This was a very enjoyable law-and-order story with a sci-fi twist. This was a pretty typical crime investigation story (I assume it was. I've not read meany), but with an interesting plot mechanic: a subset of society is living their lives entirely through robot avatars (or "Threeps", named after C3PO). Chris Shane, the main character / police investigator, is locked in. He has a disease that makes his body useless. Fortunately, his brain functions fine, so he he can live a normal life through his avatar. The author explores plenty of philosophical questions that arise from a life lived entirely through an avatar (particularly the laws related to the useless lump of flesh on the bed and the Threeps. Is "killing" an avatar murder or just destruction of property?). Also, how are friends, work, and family effected? I enjoyed exploring all of these questions. If you are a fan of sci-fi and want to toss a bit of crime in to your reading list, this book does well. After the book ends, there is a post-novel discussing the illness itself was not enjoyable at all. If the book simply stopped at the finale, I would have enjoyed it more. 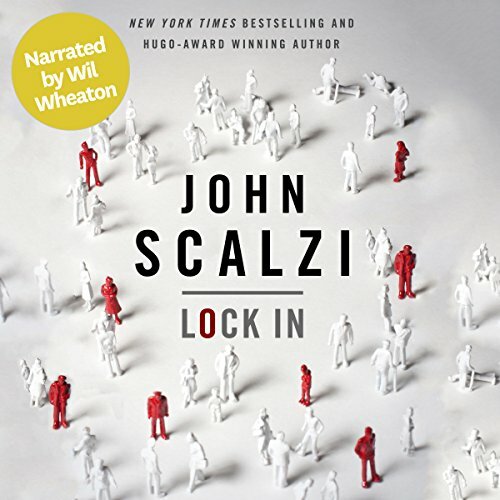 Discuss Lock In: A Novel of the Near Future in the forums.